Helping people learn how to facilitate participative workshops is the most fun! I particularly enjoy training people in their natural teams, so that they can agree how to use their skills and reinforce new practices after the formal learning is over. Clarity on the purpose and aims of the meeting - helping the host, convenor, planning group be clear about these, ensuring the group is happy with them. There's more on this three-legged stool here. There are some characteristic challenges when it comes to collaboration, and it can be very useful to know about them before you trip over them. Training for the Environment Agency focused on key concepts and ideas that became the basis for my book Working Collaboratively. One training programme was a one-day courses for managers on what they can do to support their teams who are collaborating. Another was for Environment Agency staff and their counterparts in host organisations, who were convening and leading collaboration around water catchments. This two-day course ran five times. Engaging stakeholders is not just a question of running a great participative workshop. There's a strategic planning side to it which is absolutely crucial if it's not to be a big waste of everyone's time. I've designed and run training for organisations including Defra, Decc, Sciencewise and the Environment Agency on planning stakeholder engagement. Some of the key learning from work with the Environment Agency is summarised here. And there's a short video introducing some tools here. 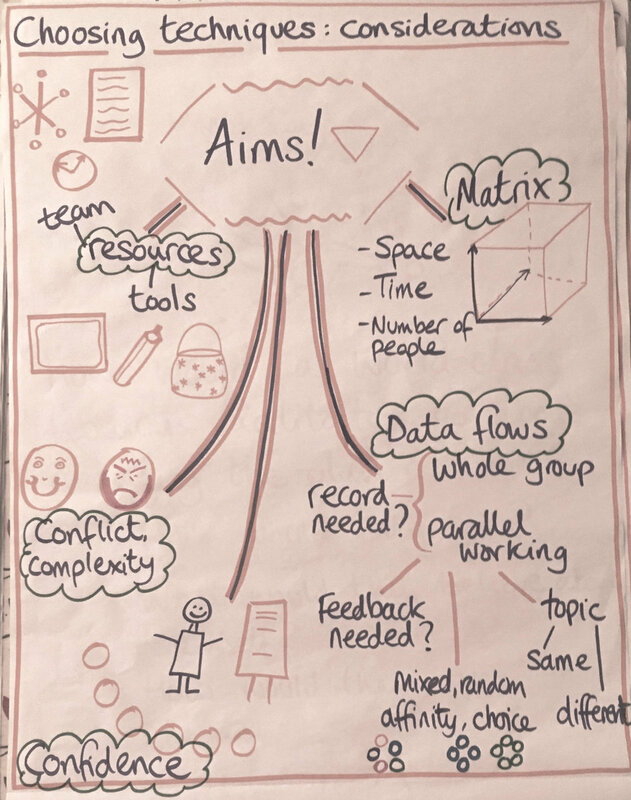 Thinking about training and learning - capacity building - should always begin with the real-world outcomes: what do you want to achieve, as an organisation, that you're not achieving at the moment? You have an idea that facilitation skills or better strategic approach to engagement may be needed. But what, exactly, do people need to do differently, or more? In order to do those different things, or more of the good things, what specific skills and knowledge do which people need? (The other barriers to the changed behaviour may not be to do with skills or knowledge - they might be authority, or permission, or resources for example.) And then, in order to improve the right people's skills and knowledge, what's the best learning intervention. It may be that you don't yet know what it is that people need to do differently, in which case some piloting, action learning, consultation or other "commissioning process" may be needed. Sometimes my clients haven't got a natural team to learn with - their organisation is too small or they are the only one who sees the need for the skills. So I've developed ways of supporting people in improving their facilitation skills one-to-one. This works particularly well when the client has opportunities to practice their facilitation between sessions.